NEW DELHI: Huawei said that it is all set to take off a several Smart City projects in India, targeting areas like Public safety, even as the Chinese telecom gear maker reckons that larger Smart Cities deployments would not happen too quickly. “I think smart city as a concept rather than a solution. In Huawei if you look at all the Indian smart cities, it’s not going to happen too quick, based on my experience with China, Dubai, and Singapore,” Joe So, CTO of Industry Solutions Enterprise Business Group at Huawei, told ET, in a recent interaction. “We are initiating a lot of projects with our partners in India. However our strategy is to be focused on certain areas rather than doing everything,” he said, suggesting that the initial focus would be on public safety. The executive also emphasized that the company is actively engaging with the Indian government to build trust and inform the authorities that the company can provide the best equipment at reasonable prices. “Just a company doing business, we want to earn the trust, because it’s not an easy with a lot of issues ahead. We want to tell you can partner with us trust us,” he added. 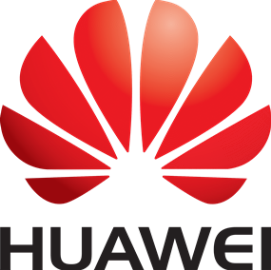 Huawei works an infrastructure provider for ICT solutions of Smart Cities, and it will offer an open platform which will hold all the applications in vertical layers. The gear maker is also looking to collaborate with system integrators, software developers, and other partners to form a Smart Cities platform, which can be deployed across the identified cities in the country. “Our [Smart City] ecosystem is open we do not have a lot of preference. We assess the partners on their competence, suitability, and enthusiasm and willingness to invest in the solutions,” he added. The Indian government recently shortlisted a list of 20 cities, which it plans to make ‘smart’ by providing efficient physical, social, institutional and economic infrastructure. The government has defined a smart city in the Indian context as a city that provides a decent quality of life to its citizens, a clean and sustainable environment, and supports the application of smart solutions. Players like Ericsson, ZTE and Cisco are also betting big on the Smart Cities project in the country. Ericsson expects that by the year 2020, 20% of India revenue will come from its Industry and Society unit, which focuses on smart cities. Cisco, on the other hand, already closed four project proposals in Navi Mumbai, Pune, Jaipur and Lucknow, while ZTE recently signed agreements with the governments of Haryana, Gujarat and Andhra Pradesh. The executive also said that the company is continuously investing its resources in India, and considers it as one of the important markets for the enterprise business. “It’s almost the same size as China. We see there is a tremendous opportunities in India. It’s very competitive as well. This is a year of growing our enterprise business,” Joe said, adding that verticals like BFSI and Education are going to be an area of growth for Huawei this year. The company also reckons that telecom operators’ increasing investment in networks will play a crucial role and help the Smart City projects.